Member’s Hill is the most exclusive entertainment area on the race grounds. It is right at the finish line and offers a breathtaking and panoramic view of the entire racecourse. Since there are a limited number of ‘Chase Tents and Lawn Boxes available, Member’s Hill is a sell-out every year! Corporate Hospitality ‘Chase Tents can start with as few as 30 guests to as many as 500. Depending on your company’s needs, we can even package sponsorship and brand targeting of your company in front of this highly desirable demographic. These tents have spectacular views, are all-inclusive with side walls and fenced terrace, premium catering, open bar, and all day food buffet within your tent. The decor and flowers are customizable allowing you to add just the right panache to your exclusive corporate engagement. Interested in treating a smaller group like royalty? Then a Lawn Box on Member’s Hill is for you. This is the premier way to enjoy the day, and these very popular Lawn Boxes are all-inclusive so all you have to do is dress up and show up! We have done all the work for you: tables, chairs, linens, flowers, programs, exquisite food, and drinks. Our open bar and multi-course delectable meals, hearty enough for a King, are served at the exclusive Eldridge Club. These are sold in packages from 1 to 10 with a maximum of 10 per table. Larger groups can be placed together at adjacent tables. The heritage of excellent sport and glamorous entertainment lives on at the Queen’s Cup. At the one-day April festival, all the elements of a great event collide; it’s the glamour of top class racing mixed with the outstanding beauty of the racecourse and the famously stylish dress code that makes Queen’s Cup unquestionably the chicest invitation of the spring’s social calendar. Despite the rumors, it’s not about horses. It’s the social event of the year and the Springtime place to be. When it comes to corporate hospitality, the Queen’s Cup offers small to large businesses and groups a wonderful way in which to make a difference to a company’s most important asset; its customers and employees. Throw in the opportunity to entertain prospects and you have a highly affordable and unique entertainment venue like no other. Particularly in these interesting financial times, customers are demanding more value from you and your associates. 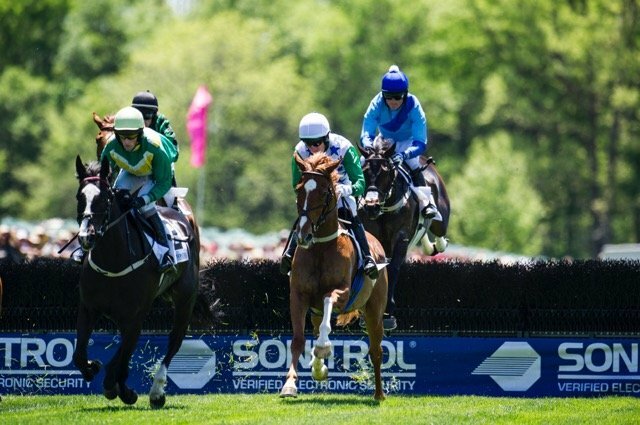 What a great way to differentiate your products and services from your competitors by showing them a good time at the races! The Queen’s Cup staff pays attention to the details enabling you to relax and enjoy precious time with your guests. The result is a marvelous atmosphere and the perfect environment for building relationships away from the usual distractions. ‘Don’t forget me for Queen’s Cup next year’ is a frequent request in thank you letters, we are told. There’s something for everyone at the Queen’s Cup! Give them something they’ll rave about and never forget and a way in which to say “thank you” to those that mean so much to your business. 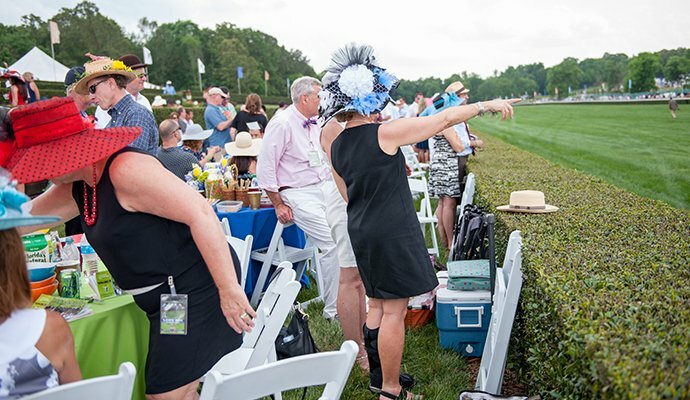 For more information on Corporate Hospitality packages, call the Steeplechase Office at (704) 843-7070.